There are many changes happening in the Raleigh and Triangle real estate market, including an influx of interested home buyers who are eager to explore the Triangle area and enjoy Southern living! An increase in prospective home buyers means that those looking to sell their home in the Raleigh, Apex, and Holly Springs areas could be met with a deluge of buyers and real estate agents. It could be a bit overwhelming, especially for those who haven’t sold a home before and are unsure of how the process works. That’s where our long tradition of Triangle real estate expertise at Flat Fee Realty comes in handy! We specialize in researching market trends and staying up-to-date with industry technology to provide exceptional services at a value price. Zero hidden fees: There are no hidden or surprise fees for our full-service offerings! Other real estate agencies may provide a comprehensive price at the beginning of the selling process, but then surprise sellers with extra dollars in commission or processing fees at closing. We simply don’t believe in operating that way, so our prices remain the same from listing to closing. Customed packages. Not all home sellers require the exact same services, so it’s unfair to force a standard that most home buyers and sellers will not benefit from when going through the process. We think our customizable listing packages are an excellent benefit to work with our real estate experts. We have options ranging from basic to more complex packages, with each one competitively priced for comparison. MLS and other tools. Many people begin looking for their dream home online, so if home sellers aren’t making their homes visible on the internet then they’re not reaching potential home buyers. 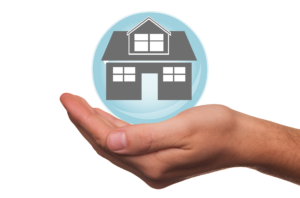 Each of our listing packages for sellers includes an online listing with the Realtor’s Multiple Listing Service (MLS), which ensure home visibility and peace of mind for sellers! 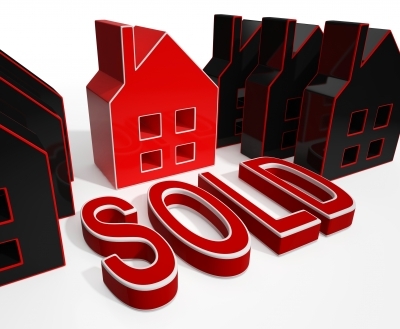 Our services here at Flat Fee Realty are unmatched by any other real estate agencies in Raleigh. In addition, our agents are knowledgeable, professional, and friendly! Interested in selling a home with us? Please contact us at 919-342-5230 or request a call back here! The Triangle is one of the best locations in America to settle down in and raise a family! With a thriving Downtown Raleigh, the Research Triangle Park, and the close proximity to both the North Carolina mountains and beaches, the area is growing very fast as we head more deeply into 2017. New residents living in the area are often renting; yet many are eager to find the home of their dreams and begin the buying process. However, the Triangle real estate market is quite competitive, and it is often a challenge to navigate the various towns and neighborhoods in search of a new home. This is especially true in the core Triangle region that includes Cary, Morrisville, Apex, Holly Springs, and Fuquay-Varina. Luckily, our seasoned real estate experts at Flat Fee Realty offer first time buyers valuable tips in their search for a beautiful home. Work on the credit score: There’s no set minimum score required for mortgage approval, but there are benefits to striving for the highest score possible. Typically, the higher the score, the lower the fees and monthly payments. Also, since there are many interested buyers in the market, it’s beneficial to be as competitive as possible. Stay within the budget: It’s easy for first-time home buyers to justify spending more than the budget allows. However, the financial burden in the future can be large and often overwhelming. Save money: Buying a home is a great investment, but it’s expensive. Most first-time buyers under estimate the financial needs the Triangle real estate market demands; especially in the areas of closing costs, mortgage insurance, home insurance, inspection fees, and down payments. Do some important research ahead of time,and call us to get an idea of the average amount of money needed to buy a new home here in the Triangle! Spring is the perfect time to buy in Raleigh and the surrounding areas. The real estate market may seem intimidating when unfamiliar with it, but working with one of our experts at Flat Fee Realty is the best way to have the best experience! Moving to the Triangle or from an area within the region? Contact us today at 919 342 5230! The real estate market in the Triangle is bubbling with activity as we move into the Spring of 2017. Our agents and market professionals at Flat Fee Realty want buyers and sellers across the region to be fully informed as they prepare to buy and sell. The focus of this week’s real estate blog post focus is on dispelling a few lingering myths that seem to still permeate the Triangle. Open Houses will sell a home, guaranteed: There is a wide variety of people who attend open house. Some people attend these showings on a regular basis just to get ideas. Most often, interested buyers will typically schedule a second visit with one of our agents a more personal and intimate view of the property. That said, open houses serve a purpose. Buyers get better deals on their own: Buyers may think they’re saving money by not paying commission to a buyer’s agent, but this simply isn’t the case. Houses listed have total commission included in the list price, so buyers aren’t avoiding commission costs by going solo. Sellers save money by listing FSBO: Sellers who choose to list their home as For Sale By Owner are usually interested in saving money. Unfortunately, most buyers are wary of FSBO listings, and it takes a lot of effort to market and show the home that sellers promote on their own. Listing above market rate will result in a higher sale price: Many Triangle buyers and agents avoid most properties that are listed above market rates for variety of reasons. It’s simple to lower the price, but sellers also must be aware that homes listed for an extended period of time draw buyer concern. 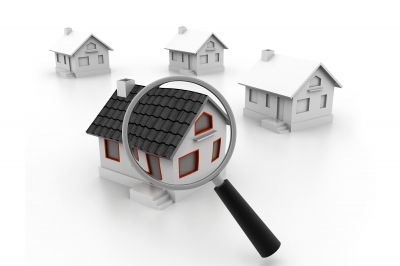 Listing at a reasonable market price will see more activity and more visits. The real estate industry varies state by state, and there are always changes and additions to existing laws that can make home selling a challenge at times. Our Triangle market and our Flat Fee Realty team provide great opportunities as we head into the spring selling season! Call us and meet with one of our local industry experts; contact us today! This post on selling and buying a home this spring in the Triangle is brought to you by the expert team at Flat Fee Realty and is intended for informational purposes only.